Not too long ago, we published an article on how you can use Twitter to increase ecommerce conversions. There were great learning tips from social media maverick brands like Oreo, Purina, Arby’s and Taco Bell…and a few really funny examples. If your audience isn’t on Twitter or you already mastered that social channel, here are a few more stellar conversion tips to try out for your ecommerce business. With just three simple changes, you can increase your conversion rate and boost sales. Give customers options for how they’d like to reach out to you. Not everyone is comfortable picking up the phone, and most shoppers want a response faster than they would receive via email. Compared to email and phone support, live chat has the highest rate of customer satisfaction with 73% of users feeling like their needs were met. Email trails behind at 61% satisfaction rate, and only 44% of customers feel content with phone support. A study based on US and UK shoppers found that 31% of users are more likely to complete a purchase after using a site’s live chat feature. Give your customers the green light to get in touch in a quick and easy way, and watch your conversions soar. Well done product images can greatly impact sales conversion. Take clear, well-lit photos from multiple angles, both in a light box and on a model (or in its intended use). To get professional looking photos on a DIY budget, see our top 3 cheap and easy ecommerce photography hacks. Once your photos are looking sharp, think outside the box and consider other creative elements. Could you add a 360º rotating image? DueMaternity.com, an online retailer for pregnant women and new moms added 360º rotating images to its site and boosted conversions by 27%. Or, think about including product images in your drop down search menu. BrickHouseSecurity.com added product images to its drop down search bar and saw conversions increase by 15%. Reviews can greatly influence purchase decision and help create buyer trust. One study found that businesses that added product reviews to ecommerce sites increased sales by 18%. It’s not bragging – buyers want to know what their peers think before clicking “Add to Cart,” especially in online commerce where they cannot try on or test out items before making a purchase. 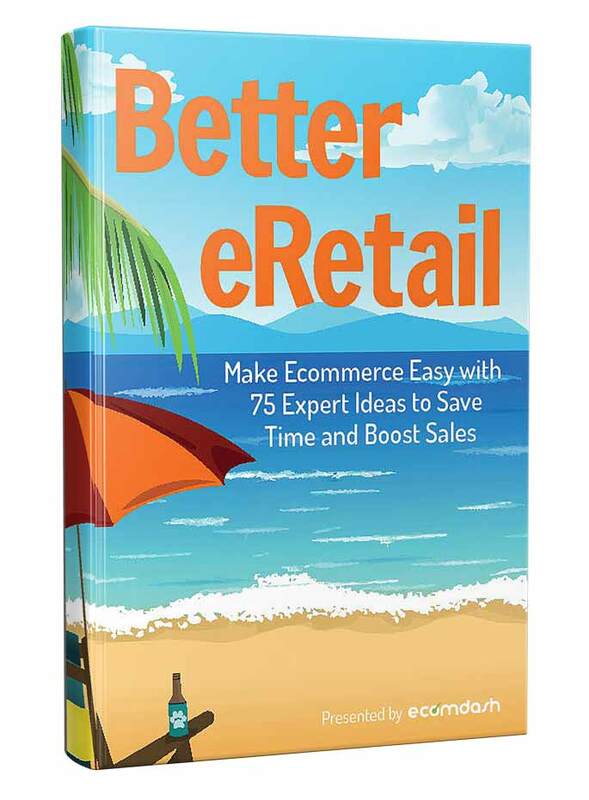 Looking for other tips to get shoppers to your checkout page? Find out if you’re committing any of these sins that lead to shopping cart abandonment.